Confidence and determination are very important factors when you lead a company. The way Noel Hayden and his team established Gamesys is a good example of this. The popular game website Jackpotjoy is part of it. To understand the success of their company, we have to go back to 2001. Back then Noel Hayden got the idea of establishing a company that provides instant win games online. He contacted a group of developers and talked about his idea. A win-win situation was on his mind. The instant games had to be profitable to winners ánd the gaming operations. A very ambitious idea, which has become reality. How did Hayden and his team manage to do this? Nowadays Gamesys has its own place in the market of soft games. It’s a good alternative to the many online casino and poker software providers. It obviously took a while before Hayden’s company became successful. It grew step by step. At the beginning, in 2001, it only provided scratch games and bingo. People were attracted to these games because they could win immediately. They also like the fact that the games are safe and fair. GameSys has a European license, so players don’t have to worry about their safety and privacy. The pay-outs and RNG generators work perfectly. To ensure this, they’re often tested by independent auditors. In 2002 JackpotJoy became reality, and it soon changed the online gaming industry forever. Instead of working with Flash technology, as did most of the game websites back then, it wasn’t necessary anymore to download heavy software on the computer. The number of games expanded as well. Besides instant win games, gamblers can also enjoy slots and several entertaining casino games. In more than fifteen years, the number of visitors has risen to 1.5 million. 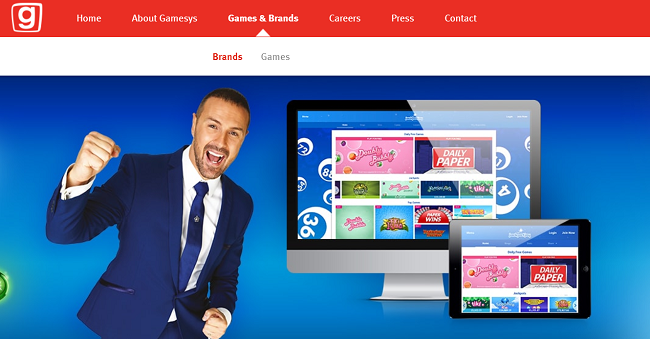 Jackpotjoy can call itself one of the most popular gaming websites in the United Kingdom! Jackpotjoy wants to offer casino games with very best quality, and definitely succeeds. Players are very positive about the sound quality, design and graphics of the games. Within a couple of seconds a game appears on your screen. With a good internet connection, you can play for hours. The chance that a game stops suddenly is minimal. At Jackpotjoy, you can win some great prizes with scratch cards. Hopefully a few thousand euros will be added to your bank account. Or perhaps you even win the Jackpot! Buying a scratch card doesn’t make you poor. They only cost 0.20 to 5 pounds, depending on the number of cards you pay. Many scratch cards have a special theme. Choose the one you like and have fun!